Whenever I travel in U.S, I like to drive on the local high way to pass by their business routes if my time permits. I like to eat at local diners on the roadside. I love listening the old favorite songs from the jukebox and enjoy simply prepared food that are always delicious. Sometimes the waitresses are not as friendly I would hope for, but I consider that is part of a life experience. The best part of eating at diners are their desserts, the pies! I love classic southern style pies. 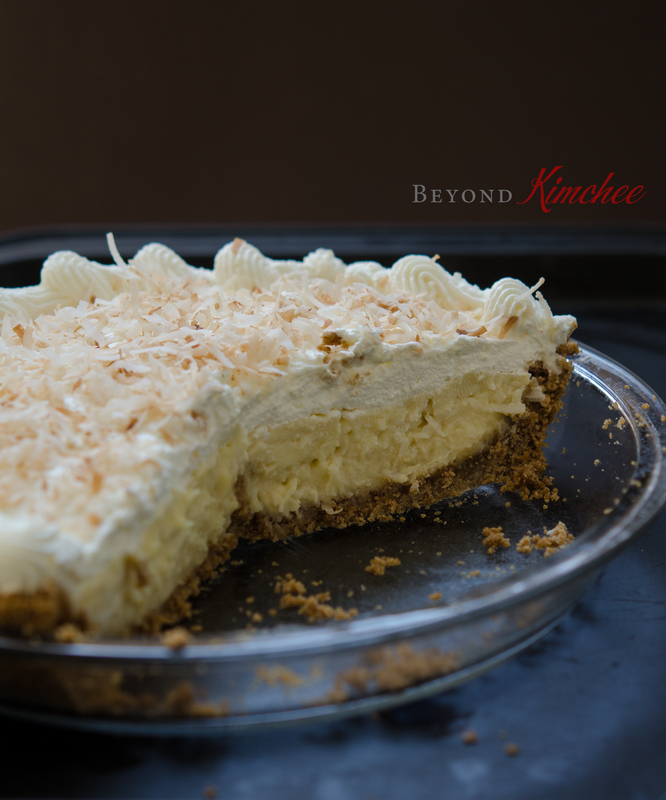 And this Coconut Cream Pie has to be one of my favorite. The weird thing is that I don’t even like coconuts. But I can eat the entire piece of coconut cream pie without fussing much. 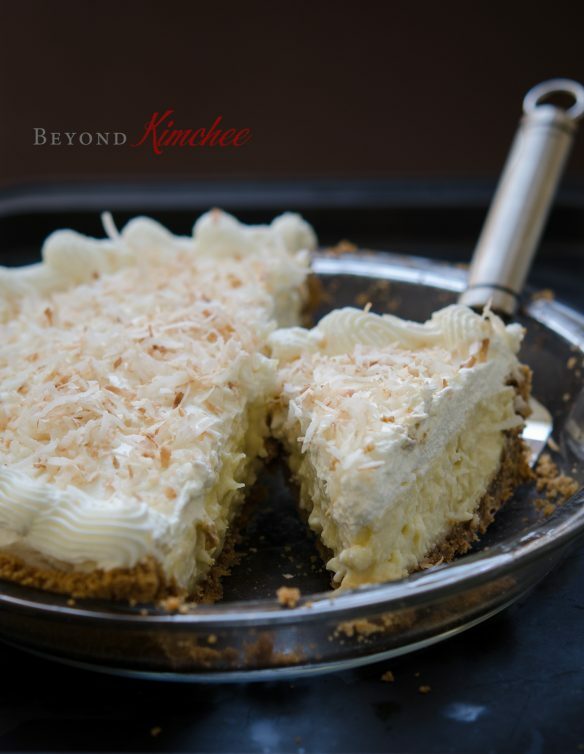 How can you not love the creaminess of the coconut custard with the bites of sweet coconut flakes on the homemade graham cracker crust! This is a wonderful way to finish off the heavy meal to show a southern hospitality. And I think the southerners surely know their pies. Nothing beats homemade graham cracker crust, right? 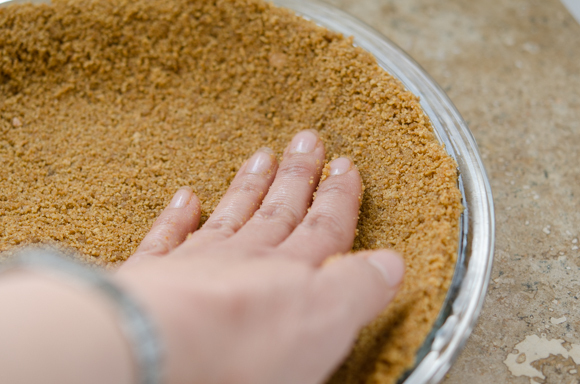 Mix the cracker crumbs, brown sugar, and butter, then press gently on to a 9″ pie pan. Bake in 350 degree F for 6 minutes. Cool! Here are part of filling ingredients. I like to combine coconut milk with whole milk. 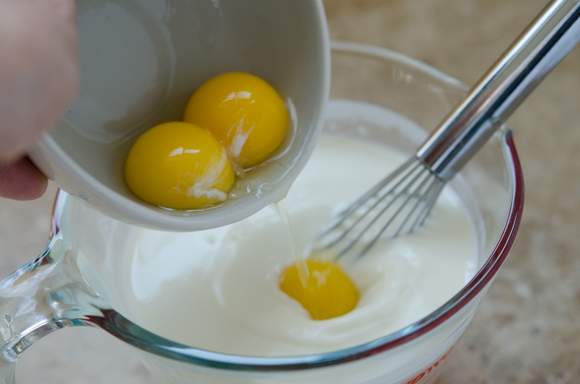 Mix the milks and whisk in the egg yolks. Combine corn starch, sugar and salt in a pot. 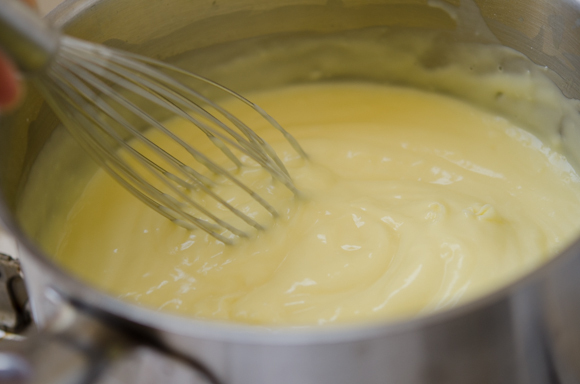 Slowly pour the milk and egg yolk mixture to the corn starch mixture whisking together to combine. Bring them to med-low heat and cook until they get thicken. You will need to stand next to the pot stirring constantly. Sing “Sweet Home Alabama” ♩♪♫♬ ~ ~ if the stirring job gets too boring for you. 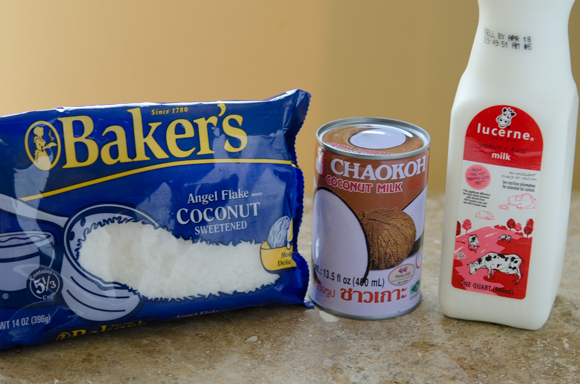 When thickened, add 1 cup of coconut flakes, vanilla, and butter. Mix well, babe! Cover loosely with a piece of plastic wrap. Chill for at least 2 hours. 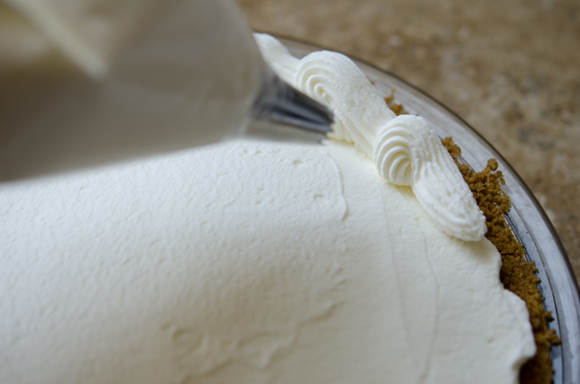 Whip the cream with a little sugar and cover the top of the pie. Want to give a little luxury? Pipe the edge or the entire top in a decorative pattern. Here is my hint. If you need to keep this pie in the fridge for a longer period time, add 1-2 teaspoon of corn starch when you whip the cream. That will absorb the moisture of cream and increase the staying power. But too much cornstarch will make your cream taste chalky, so be aware! Sprinkle your coconut love (toasted, please!). And this pie is so ready to serve. Or you can keep in the fridge until ready to serve. I was in a sort of down mood for the past few days after hearing the ferry accident in Korea. As a parent of school aged children myself, I felt the sorrow and pain of the parents who lost a child in this tragic accident when the many loss can be prevented or at least can be minimized if people with the authority did their job right. I think the entire Korean nation is in a trauma for this accident. Words can’t describe the loss of their child for a parent. My sincere prayer from the bottom of my heart is with them. We see so many sufferings and pains around us in this world everyday. Many innocent lives had been taken away for no good reasons. But out of all the despair we face or we might face, there is a hope that we can hang on to. Just like the sun rises and shins us every morning to awake us, life has to move on and the death is not the end of life we own. I find my peace knowing that knowledge during the Easter Sunday. 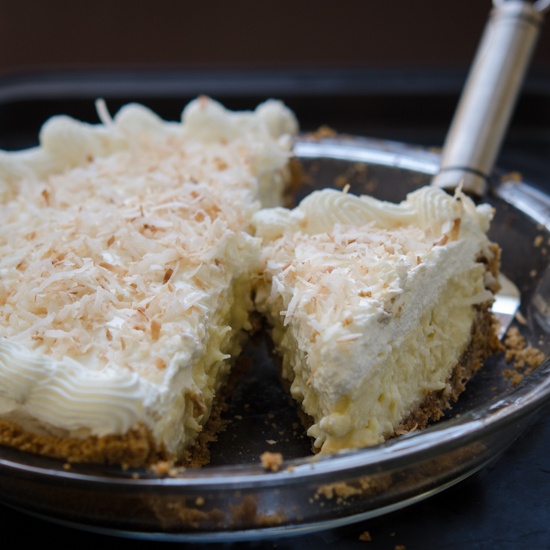 And this coconut cream pie was a comforting dessert. For the crust, mix the graham cracker crumbs, brown sugar, and melted butter. 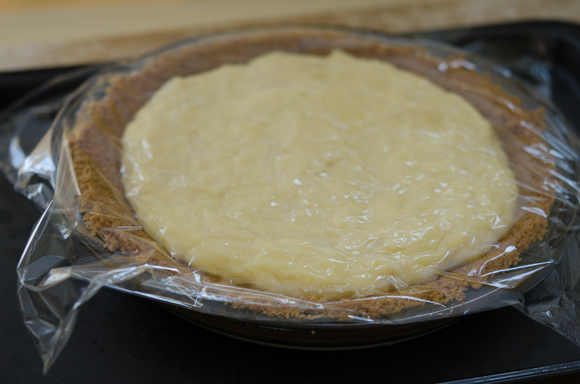 Pour over to a 9" glass pie pan and pat down gently to form a crust. Bake for 6 minutes in a preheated oven. Let it cool. For the filling, in a medium size sauce pan, whisk together corn starch, sugar and salt. Set aside. 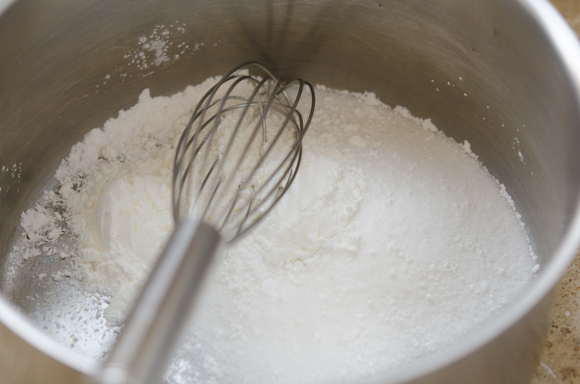 In a mixing bowl whisk coconut milk and whole milk. Add the yolks to the milk and whisk well. 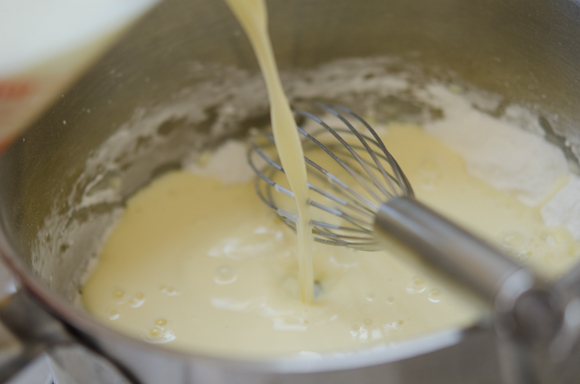 Pour the milk mixture to the cornstarch mixture slowly as you whisk to combine. 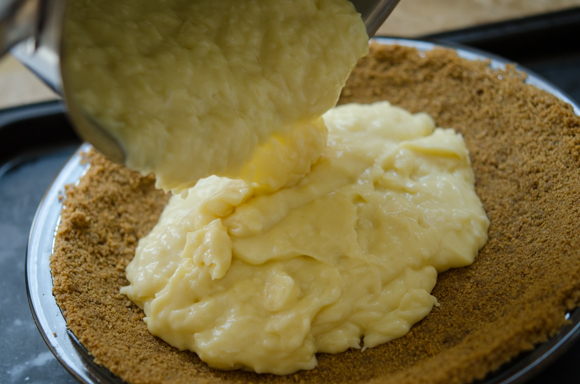 Bring the pan over me-low heat and cook until it thickens to become a custard-like, about 3-5 minutes. 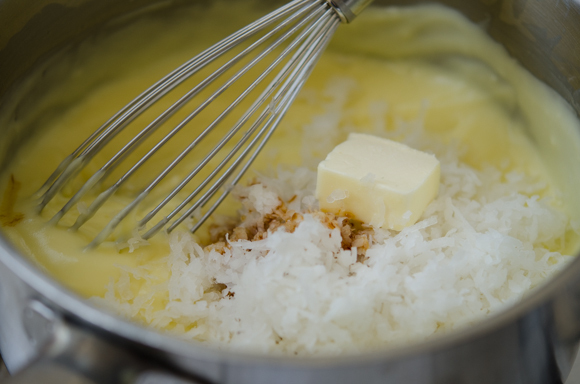 Remove the pan from the heat, add the butter, vanilla extract, and 1 cup of coconut flakes. Stir well. Pour over to the cooled crust in a pan and smooth out. Cover the surface with a piece of plastic wrap and chill for 2 hours. 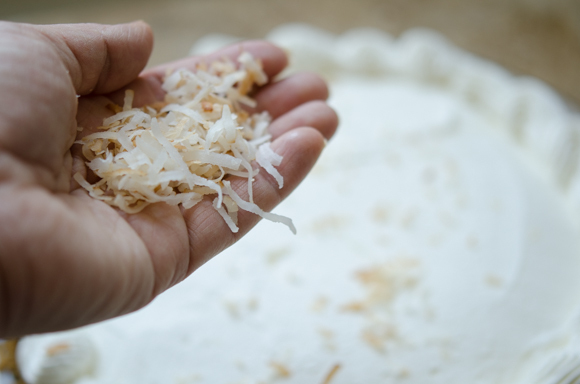 Toast 1/2 cup of coconut flakes in a pan over med-low heat until golden and sprinkle over the pie to garnish. Serve chilled. Thank you Selena! Hope you like it. My sincere prayers and condolences to the families of those love one. Words can't sum up how much sorrow I feel. I love coconut and this recipe is a must to try...thank you so much! Traveling local roads is so much fun! We keep threatening to go on a Pie and Barbecue tour of the US. Just so we can get great pie like this! Doubt if we'll ever do it, but it's fun to dream, isn't it? Fun post -- thanks. 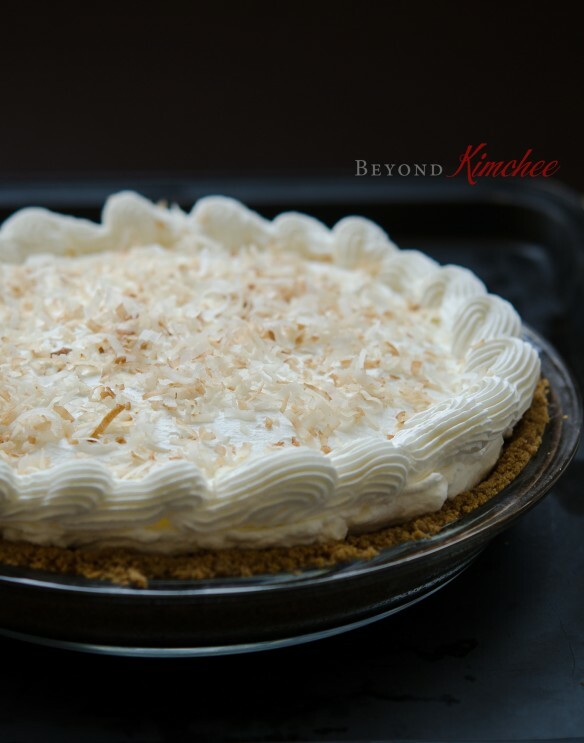 I'm not a fan of coconuts either, but I've always loved coconut cream pie. This looks really delicious. I'll give it a shot! :-) Thanks for sharing. Hi, I've been stalking your blog for a couple weeks now. It is a bit of a masochistic act, becomes it makes me very hungry and crave Korean food so bad. Korean food is my 2nd best after Mexican (I'm Mexican). [By the way, did you know that Kimchi wasn't spicy until the 18th century? And that the chiles were being 'exported' from Mexico to the rest of the world by the Portuguese and Koreans just loved them so much it is now part of the national food staple? I guess it's another reason I love Kimchi so much]. I also felt so sad after knowing about the ferry tragedy. I have 4 daughters and 2 are 20 y.o. I wouldn't be able to breathe if something happened to any of them. How will these parents carry on with their lives? So I'm with you, all my sympathies to all these parents. And you are right, your coconut pie looks like the best medicine when feeling down. I might use it one of these days. Thank you for your blog and your funny remarks when you are explaining things. Plus you seem to be so down to earth and that really helps to get the message through. I made your Gogalbi the other day and even though I substituted some things (rice wine, syrup, tilapia for mackerel) it was delicious! Well this has gone for long enough. Thank you again. I will definitely write another time, I know I will definitely will when I make my first batch ever of kimchi. Thanks Tamara. I appreciate your kind words and thoughts. I am so happy to hear that you like Korean food. I love Mexican food, too. How anyone could not like Mexican food, right? 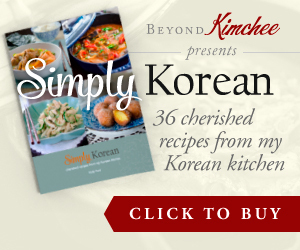 Hope you can try making kimchi someday soon. It is time consuming but so much fun and rewarding. this looks so good! i want to make one. You don't understand how coconut nut crazy I am and this post just makes me sooooooo happy. Oh yes! I like coconut and I could eat my piece and anything you left on your plate too. I look forward to trying this one. Wowza! 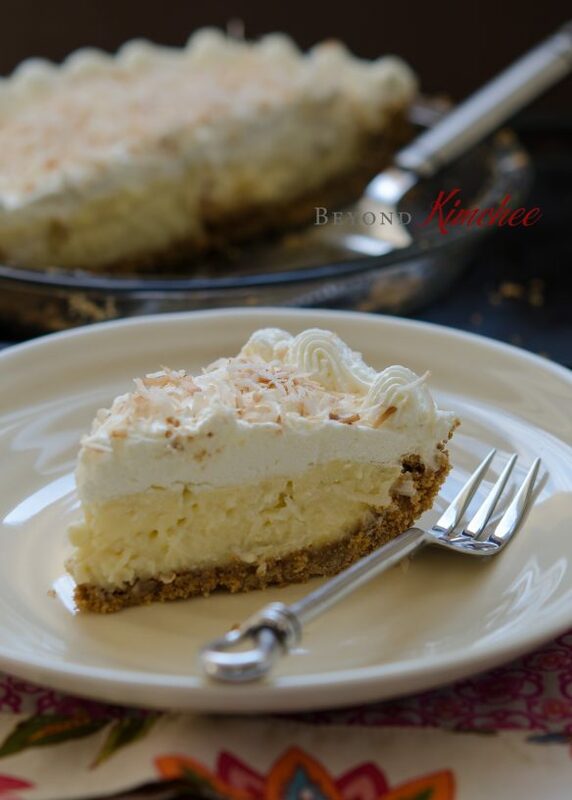 I have never made a cream pie before, but I am wanting to now seeing these gorgeous pictures! I love almost everything is a cream filling, so I have no clue why I have not made any kind of cream pies before! This looks wonderful. Toasted coconut is love! The ferry accident was indeed a saddening incident. I just hope those parents who lost their child will okay one day. 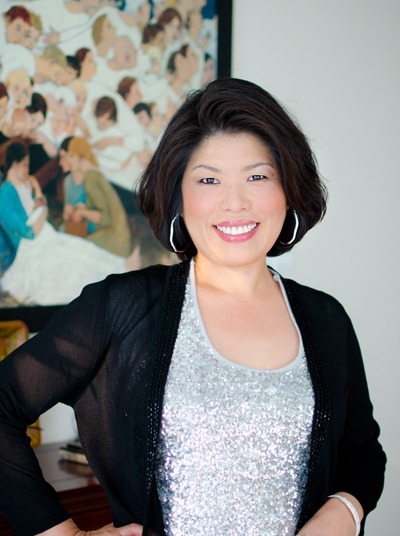 Hi Holly: my heart goes out to those who lost their children in the ferry accident. So sad. We are here in Korea visiting our newborn granddaughter so I prepared the Hobaakjuk for our myeonurri according to your directions. Delicious she said and next time would I add rice cake. So I shall. Thank you for simple and concise directions. Thanks Karen for your kind words. How sweet of you to prepare the Hobbakjuk for your myenurri! I am glad that your daughter-in-law liked the porridge. Adding the tiny rice balls would be so lovely.